* Disclosure: I received most of my party supplies for free from Celebrate Express. All opinions and experiences are my own. 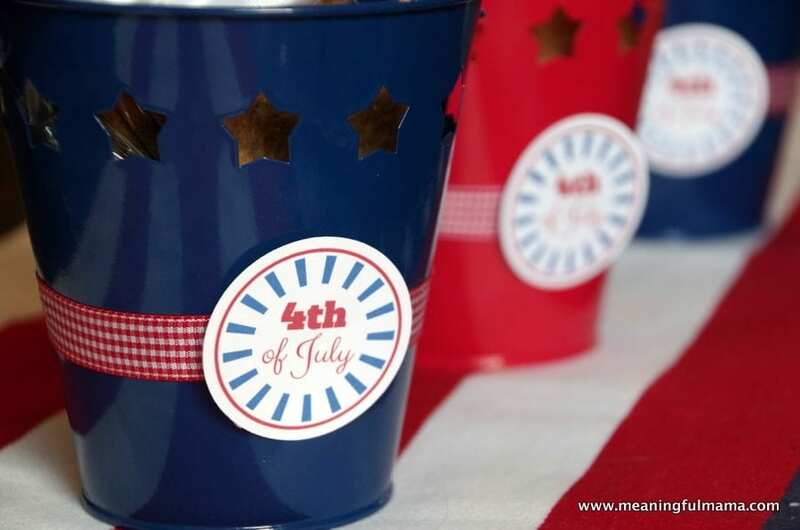 Do you have your Independence Day plans all in place? 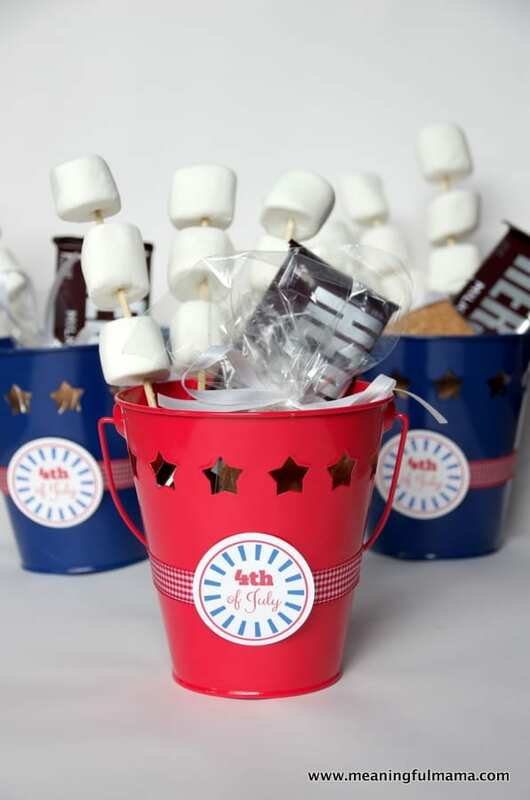 These S’More Buckets for a Fourth of July Party might motivate you to add one more element to your festivities. They are fairly easy to put together, and I think your guests will love them. My daughter’s birthday is right around 4th of July. 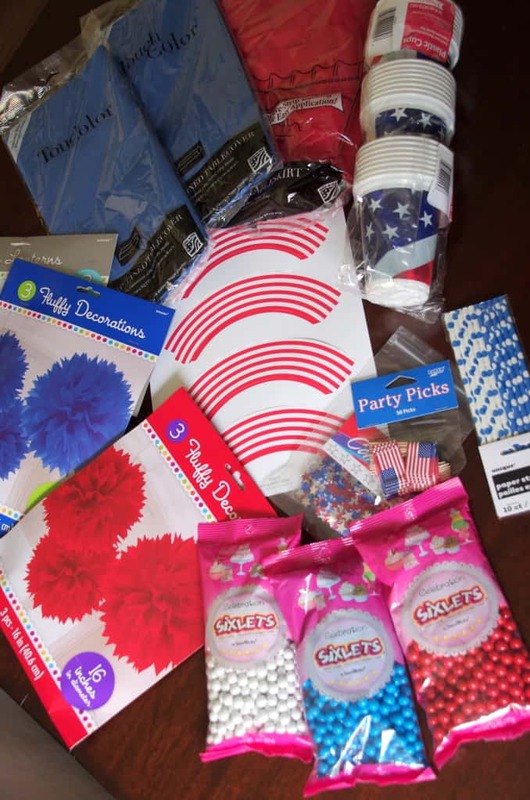 As she was flipping through a party catalog that came in the mail, she proclaimed, “I want to have a 4th of July themed party.” I said that we could do that, and it would be a lot of fun. However, I explained that we have a traditional 4th of July party with all of the family, so it probably wouldn’t include her friends. She was OK with that, and so we started planning. Planning was a little bit different than normal. She had all kinds of opinions. Most of the food was inspired by her ideas. There is now a completely different cake idea that I wasn’t planning because she designed it. She was able to pick out a bunch of her party supplies. It has been fun to see her mind to begin creating her own ideas. For this party, we were able to get a bunch of ideas from the online store, Celebrate Express. I picked out a bunch of party supplies, and I received the items I needed. You will discover how I use these items to decorate in a post I’ll have to get to you after the party, which only makes sense. I was very inspired by the picture they have on their home page. I captured a shot of it for you here because I’m not sure how long they’ll have it up, but I wanted you to see all of the 4th of July decor they have available. I also want you to note my S’More bucket inspiration. Now, I didn’t notice these buckets when I first went onto the Celebrate Express website, so the buckets weren’t actually in my order. 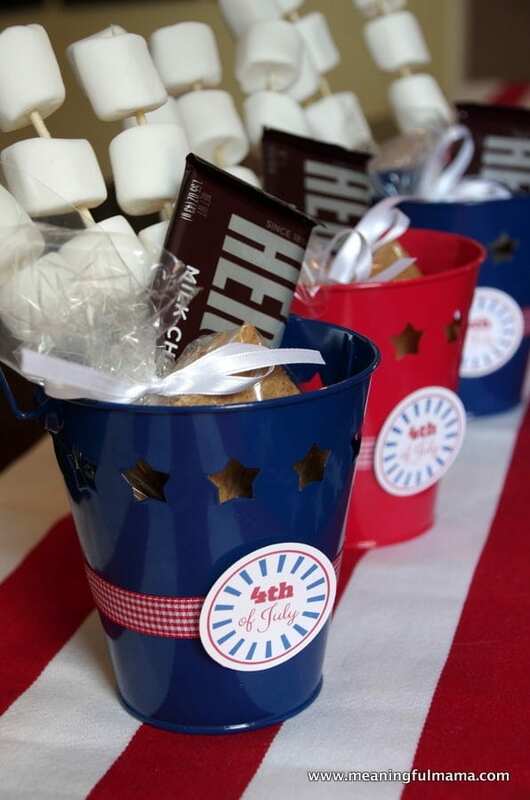 After going back and seeing the S’More buckets (toward the front of the table), I just had to make them as party favors for our guests. I want to give you an easy link for the red buckets or the blue buckets you can find at Celebrate Express so you don’t have to go searching all over the place like I did. 1. 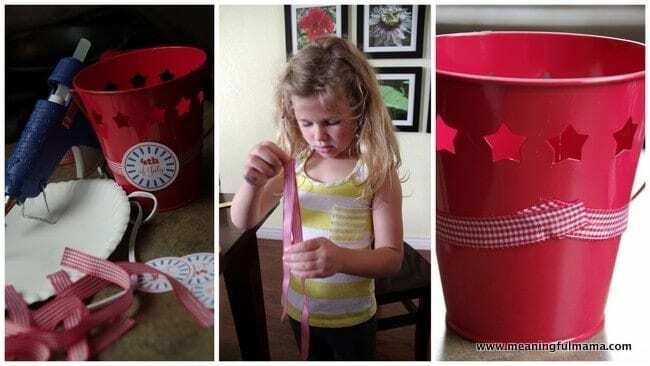 The first step is to wrap your ribbon around the bucket. I chose a red and white checkered ribbon. It was a tad tricky to wrap around the tin can since there is such an angle to the can. It doesn’t want to adhere straight. I started in the front of the can, adding a hot glue dot and gluing down the middle of my ribbon. I then tried to go straight from there to the sides, where I put a hot glue dots on both sides. I then attached the ribbon in the back. The back doesn’t look beautiful, but I was OK with that. 2. You will want to print out your Fourth of July Tag Printable that I have made available to you for free. Then, use a circle punch or cut out around the tags. I’ve loved having a circle punch and have used it on many occasions, so if you are a regular crafter, it might be a purchase you would want to consider. 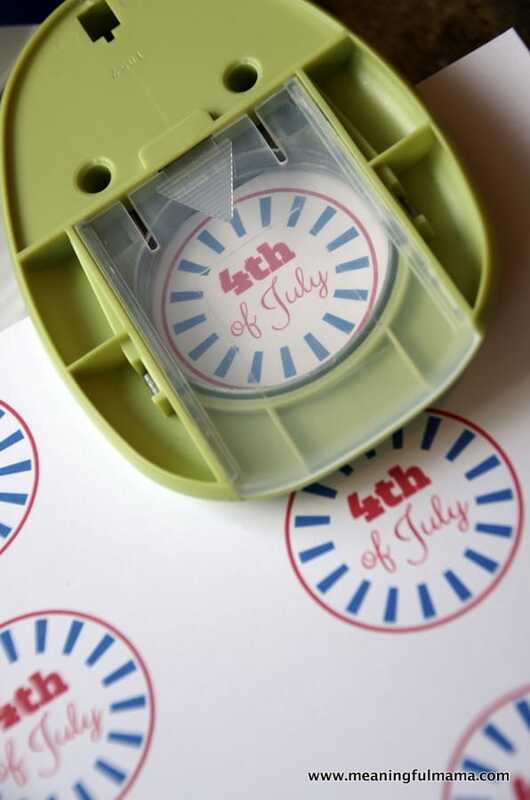 Using hot glue, attach the Fourth of July tag to the center of the ribbon. 3. Put 3 marshmallows on 3 different skewers (a total of 9 marshmallows). 4. 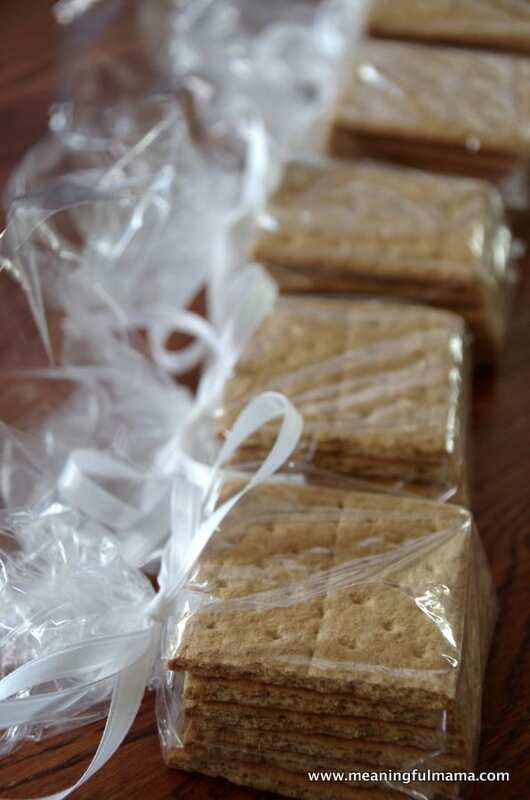 Put graham crackers (6 squares) into a basic plastic bag. Tie ribbon around the bag to help contain it and give a cute look. 5. 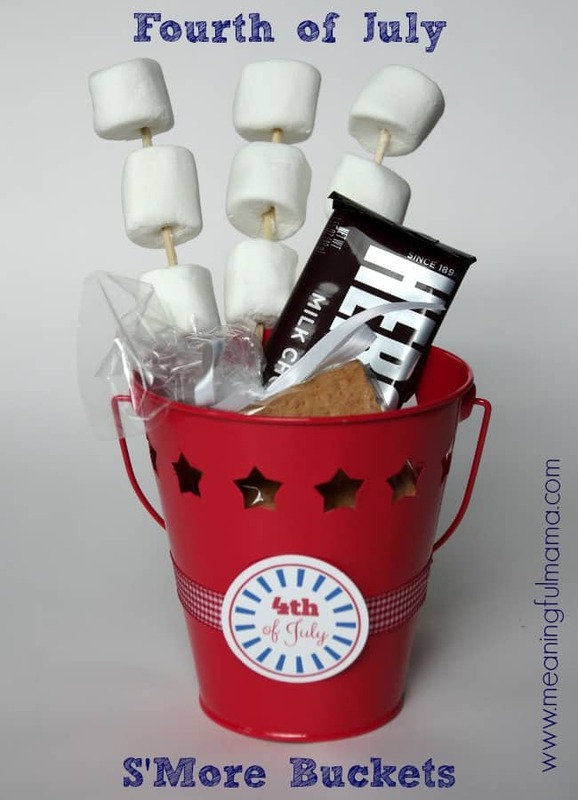 I stuffed a half a piece of tissue paper in the bottom of each bucket and then stuck in all of S’More components – the marshmallow skewers, Hershey bar and graham crackers. I hope you have fun making your own S’More buckets? Make sure to visit all of my other Fourth of July posts for more inspiration.